Years ago I wrote what I jokingly consider my contribution to "Wolfen Studies. "The other contributions to the field being Evan Calder Williams Combined and Uneven Apocalypse and Alberto Toscano and Jeff Kinkle's Cartographies of the Absolute. 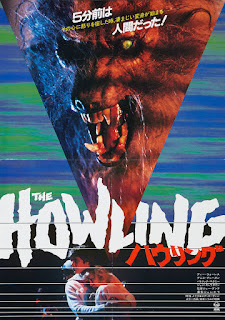 In the comments to that post it was pointed out to me that Wolfen was one of three werewolf movies to be released in 1981; the other two films were The Howling and An American Werewolf in London. I initially thought of writing a post on all three, but dropped the idea. 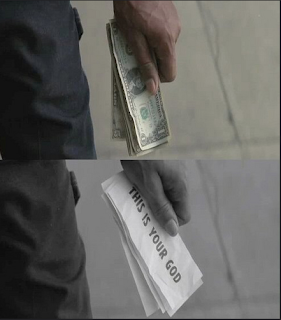 Now, years later, I returned to the notion. This October I have been watching a lot of old horror favorites from Hammer films to some classics from the eighties. 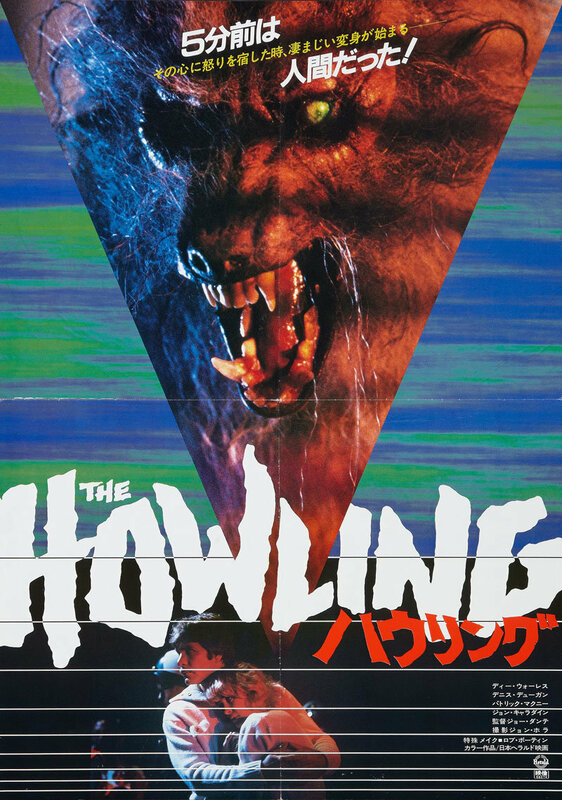 I decided to rewatch The Howling. Sometimes students ask me if I think that Marx was wrong about anything. Marxists are supposedly not known for independent thought. I always have a quick and easy answer, the point of reference is not something deep in Volume Three, but in one of the most well known and most cited passages of all. I am referring to the following passage from The Communist Manifesto. This is probably the worst way to begin a blog post, but I can't shake the figure of the paid protester. I am less interested in the rights fascination with George Soros (something that others could analyze better) than I am with the particular mythology of the paid protester. Although, I will say this about the former, the specter of a billionaire using his money to influence politics seems strange coming from people who ostensibly have no categorical problem with billionaires using their money to influence politics. I guess it could be understood as part of the spectacular division of capital, just as there are "woke" and "MAGA" brands, there are woke and MAGA billionaires, opposition to the specific actions of one circumvents any discussion of the entire system. This is a longer version of something I posted here, presented for a discussion of Chantal Jaquet's Affects, Actions, and Passions in Spinoza. 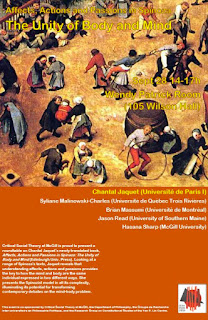 I intend to approach Chantal Jaquet’s interpretation of the mind and body in Spinoza somewhat obliquely, by examining its possible implications for a social theory. In doing so I am following a fairly recent tendency to view Spinoza as not just an important political thinker, but also one whose account of affects, imagination, and knowledge offers profound insight on social and political life. I am thinking here explicitly of Yves Citton and Frédérique Lordon's Spinoza et les science sociales, but also more broadly Jaquet’s own work on transclasses which uses a Spinozist anthropology and ontology to examine the reproduction and nonreproduction of social relations. That is not the book that we are here to discuss, so I would like to begin my remarks on Affects, Actions, and Passions in Spinoza by putting forward something of an axiom, every interpretation of the relation of mind and body in Spinoza necessary has profound implications for how one thinks of social and political relations.